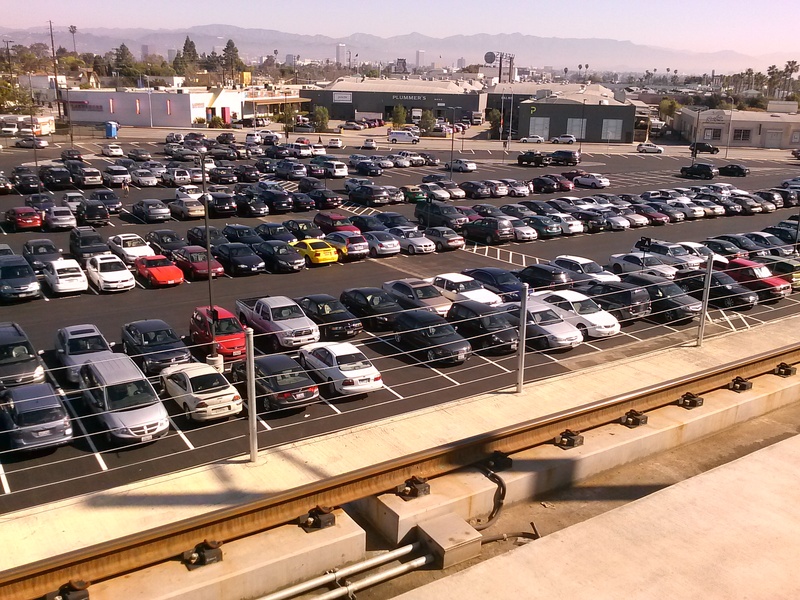 A view of some of the existing parking lot at Culver City Station. Photo: Metro. 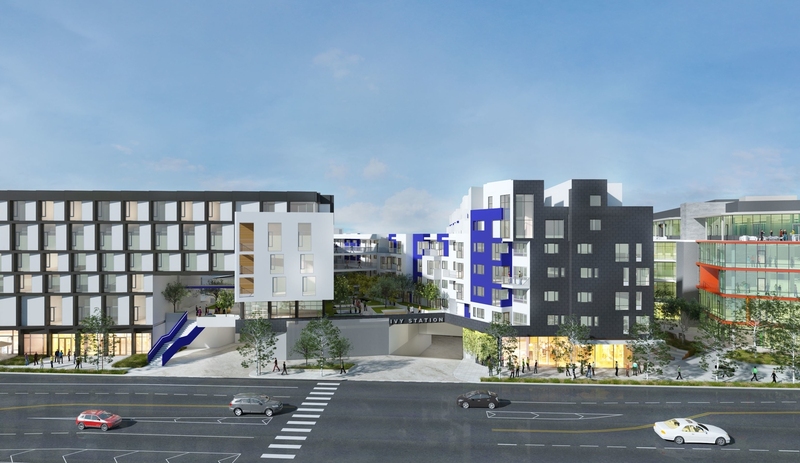 The day is nearly here: construction is set to begin for a new development, The Ivy, that will occupy the parking lot adjacent to the Expo Line’s Culver City Station. That means the parking lot will be closed starting Tuesday, Feb. 14, resulting in the loss of 585 spaces. We know this will be an inconvenience for some riders. On most weekdays, the Culver City lot usually fills in the morning with folks taking the train either to downtown Los Angeles or Santa Monica. If it’s any consolation, there will be alternative parking options both in Culver City and along the Expo Line. The info is below. 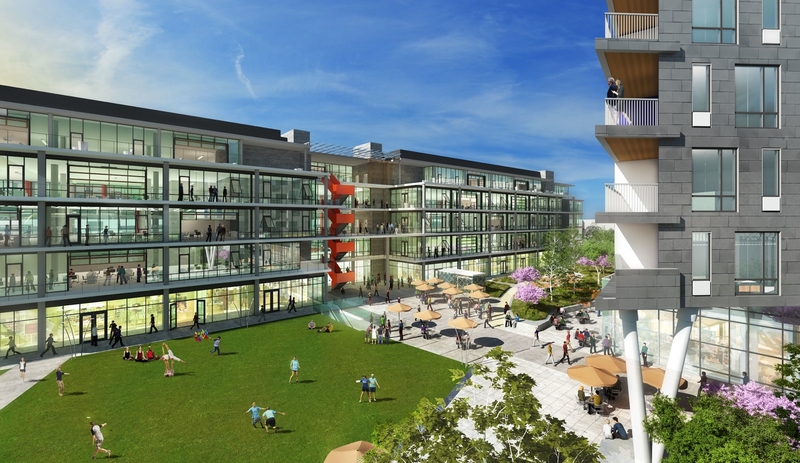 The Ivy will include retail, office, apartments, a hotel, a park — and, yes, Expo Line parking. 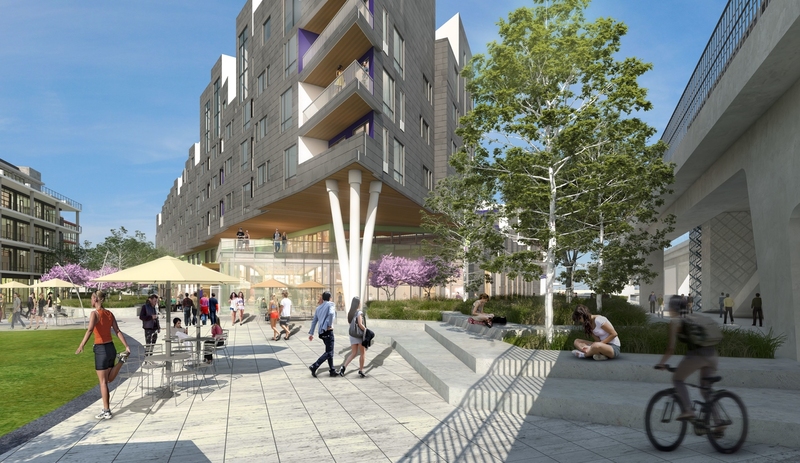 The renderings are very nice and we think it certainly makes sense to put new development next to rail lines. With the Culver City lot closed, where else can I park and take the Expo Line? 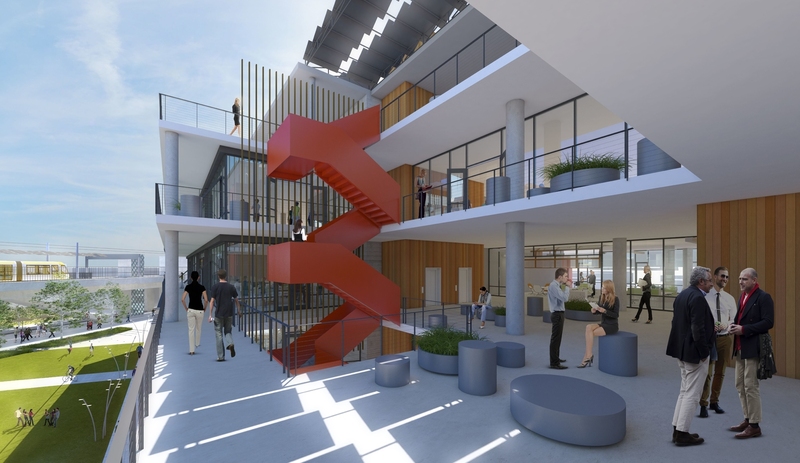 There are basically four alternative spots that together should be able to make up for the loss of the Culver City spaces. 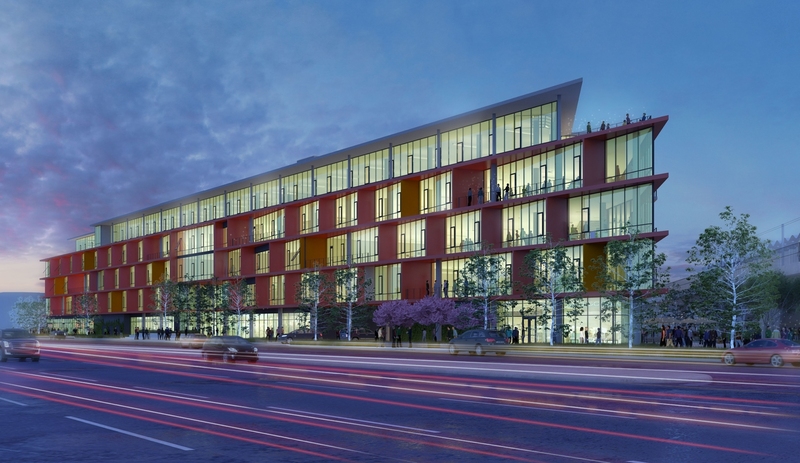 •The Ince parking structure in Culver City (9099 Washington Blvd., Culver City, CA 90232) will have 235 parking spots available to Metro customers. It is about a half-mile walk to the Expo Line station. Cost: $3 with a valid TAP card. •The nearby La Cienega/Jefferson Station (5664 S. La Cienega Blvd., Los Angeles 90016) usually has about 150 open spaces on most weekdays. There are entrances from both La Cienega and Jefferson. Cost: free until March 1, then $3 per day to park. •The Expo/Sepulveda Station’s parking structure (11214-11270 Exposition Blvd., Los Angeles, 90064) also has about 200 open spaces on most weekdays. The entrance is from Exposition Boulevard. Cost: $3 per day to park. •The Expo/Bundy Station (Exposition & Bundy, Los Angeles, CA 90064) has about 150 spaces open on most weekdays. The parking spaces are along Exposition Boulevard on both sides of Bundy. Cost: $3 per day to park. Below is a map of the entire Expo Line that shows where the stations are located relative to one another. Are there bus options for Culver City Station? Will there ever be parking again at Culver City Station? Yes. 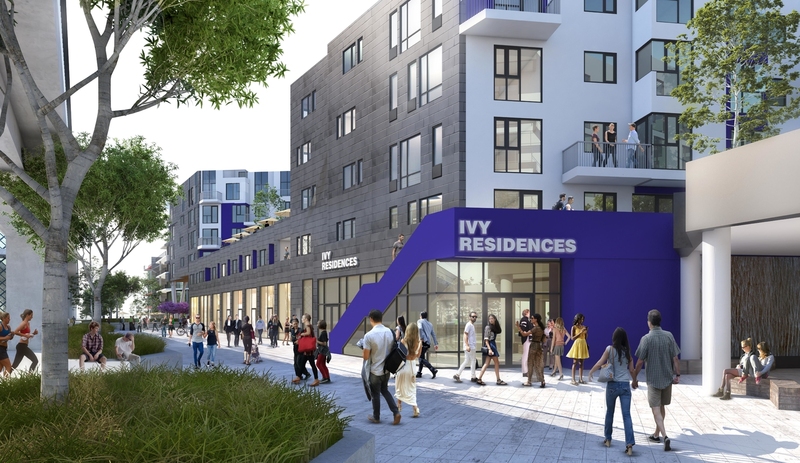 Three hundred of the Ivy project’s 1,500 parking spaces will be reserved for Metro riders. The project is expected to take at least two years to build. Why is Metro now charging to park at the other Expo stations? Earlier this year, Metro began implementing a paid parking pilot program at some of its busier transit stations that have parking. The idea is to use a small fee to manage supply and demand for the spaces and to ensure that some spaces are always available for transit riders. As part of the program, fees were charged at the three new Expo Line stations when they opened in May. The second phase of the program — approved by the agency’s Board of Directors earlier this month — adds parking fees to the La Cienega/Jefferson Station, as well as three Gold Line stations and two Red Line stations. The fee — and the fact that motorists who park need to have a TAP card — also helps prevent non-transit users from parking their cars for free or cheap at Metro stations. Are there monthly parking permits available at the Expo stations? Yes. There already are monthly permits at Expo/Sepulveda ($39 per month) and Expo/Bundy ($49 per month) stations and, soon, the La Cienega/Jefferson station ($59 per month with sales beginning Feb. 6). All permits can be purchased at LAMetroParking.net. What will The Ivy look like? When we paid to pave the parking lot, we made an investment. The lot cost the same if we kept it for three years or twenty-three years. Along with the other costs, are the developers refunding the money we spent on the lot? Culver City owns this land not Metro. They can do with it as they please and only allowed Metro parking for a short time. Initially, Metro used a cheap paving material to pave the lot since they knew it was temporary, but it was a mess when it rained. They then paved with a more permanent material, but parking lots need to be repaved every so often. It wouldn’t last another 20 years in any case. No one has yet explained how this fancy automated parking system will work with license readers, or how people dropping off or picking up at the station and only parking for a few minutes don’t get penalized. Nor has Metro reached out to the neighborhoods around the parking lots which will be impacted by overflow parking. wow…why can’t we just leave it as it is? Mwetro giveth … and Metro taketh away. Metro is making it harder than ever for Malibu residents to connect to the Expo Line train to Los Angeles. The Culver City park and ride lot is closing. That’s a loss of 585 parking places …. the only large parking lot for Westsiders to use to connect to the 2 and a half billion dollar train. Santa Monica…concerned about traffic … refused to build any park and ride lots for the Expo Line when the train was built. That left the Culver City lot .. and a few small garages at Sepulveda … La Cienega and La Brea … but Culver City was the major parking lot to connect to the train. 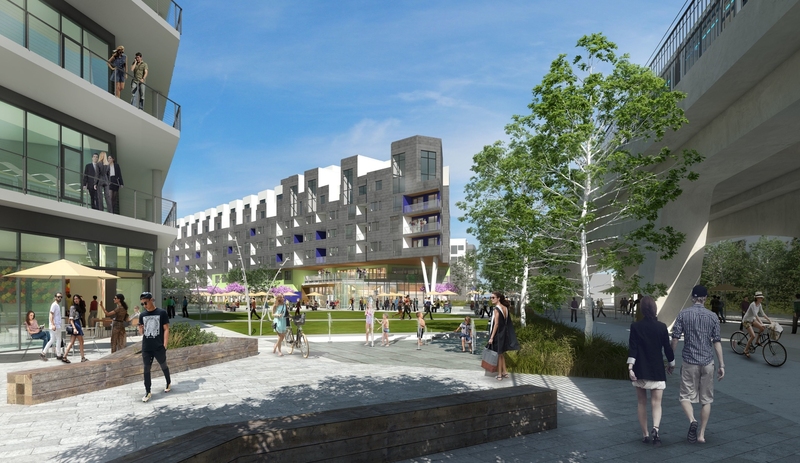 But Metro always said Culver City’s 585 parking spaces were temporary …. a big new housing slash office slash coffee shop development is being built there. It’s underground garage will be finished in two years … and Metro park and ride customers will then get 300 spaces … about half of what is currently available. Some customers might grumble that Metro is basically saying to PCH commuters …. thanks for building the train …. please don’t drive to it. Of course … Metro says you can take the 534 bus from Malibu to connect to the train. That would be great … if the 534 bus connected to the Expo Line. It doesn’t … it drops you 4 blocks away from the train … adding 20 minutes to a trip that already takes way too long to compete with a car. As for the parking …. residents elsewhere in Los Angeles County have demanded … and received … park and ride garages to access new rail lines. Westsiders are losing the one major lot with freeway access. That would be an understatement …. Doesn’t line 534 still stop at Colorado and 5th, right next to the station? It’s on the route, and they’d be crazy to change it. Good stuff, projects like this are necessary for LA residents to adopt alternative forms of transportation. There will always be growing pains but no one will ride the train unless it is more convenient than driving. Jobs and higher density housing along the rail lines are the future. Build on! This totally defeats the purpose of mass transit…cheap and alternative ways to travel…we just increased our sales tax by 1/2 cent, why is Metro making these horrible decisions that will definitely have people going back to driving again…we paid for all this….metro, your thinking is becoming more trump-like every day…blatant discrimination against the poor!!!!!! Think about what you’re saying… Effective mass transit connects destinations to other destinations. Not parking lots to other parking lots. An effective mass transit would provide direct service for immediate residents traveling at all hours of the day every day of the week, it would not be limited by a massive parking lot that serves a small number of riders during business hours on weekdays only. Improving mass transit is largely beneficial to minorities and “the poor” this is exactly what needs to be done to help Angelenos of all socioeconomic backgrounds. “blatant discrimination against the poor!!!!! !” – What are you talking about?? How is removing parking spaces discrimination against the poor?? The majority of the poor you speak of can’t even afford a car, hence why they rely on mass transit in the first place. The only reason I have a car is because it was given as a gift. I love how people think that the removal of parking spaces means no one will ride, yet my car was the only one parked at the Sepulveda station on Christmas Day, and that same lot stays half-empty during the weekdays. Yeah, I think the loss of the Culver City parking lot will have minimal effects for the short to mid term future. FWIW, I think there’s something along the lines of 22K or so parking spaces on the Metro system and about 1.3 million boardings on the average weekday. No doubt the parking is important for many who use it, but the vast majority of our riders get to bus stops and train stations by other means than driving and parking. In Chicago, most non-downtown stations have ample parking with meters…they charge a quarter an hour, and very inexpensive monthly passes…this should always be built into any metro project…it’s unconscionable to create mass transit w/o places for people to park their cars/get them off the roads/and use mass transit…cheaply and as a real alternative to driving…this is just common sense…metro, next time you ask for more tax money, I am voting NO! Once more, what you’re suggesting is very much inline with how metro Los Angeles is acting. $0.25 an hour in Chicago or $2 for the 8 hours you’re at work +$2.25 for your ride on the L a total of $4.25. That’s not far off from the $3 for parking + $1.75 for your ride on LA Metro. This post could benefit from a list of bus routes that serve the Culver City station. Happy to see the proposed development. Ultimately, it’s having lots of stuff near transit stations and tougher parking conditions for solo drivers, that get butts in transit seats. It may not be totally PC for Metro to say, but it’s true. 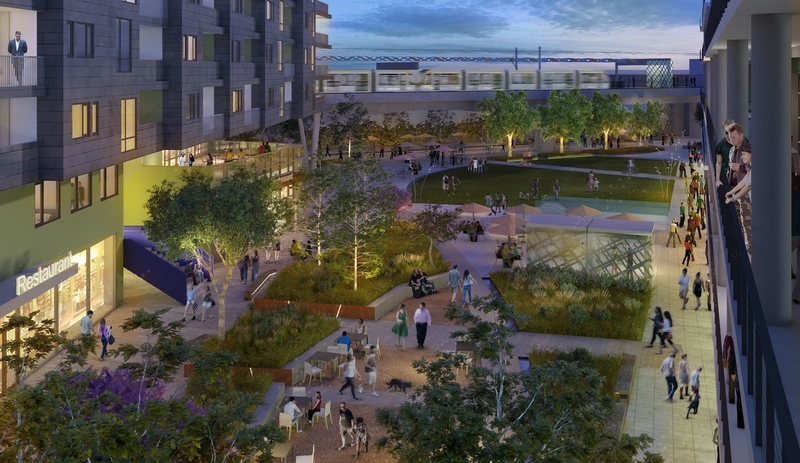 Just because riders will walk half a mile to a rail line from their homes does not at all mean that riders walk half a mile to a rail line from a parking structure after already having driven from their homes. Those 250 people allegedly expected to park in the structure half a mile away are just now going to start driving to their destinations–and I’m sure Metro planners are well aware of that. This is pretty shameful to have no real contingency plan for some of Expo’s core, longest-standing riders but to shun them off to fewer spaces elsewhere and make them pay. You might as well just assume from the outset you’re pretty much shooting Culver City ridership in the head. I was initially very sad to hear about this lot closure, since I use it a lot, but I do appreciate the guide to other parking lots. I would also add the parking structure on Crenshaw to this list too, which I understand is still free! This is LA, if you want to get people out of cars you have to give them somewhere to put their cars. Several times when I’ve tried to park in the Culver City lot it was FULL, and I circled for quite a while until I broke down and parked over Trader Joes (and then had to walk to the station). This indicates a NEED for parking. Instead of taking away the lot, shouldn’t they actually build a garage? And yes it’s OK to charge something to cover its maintenance and make sure it’s available for Metro use. Cmon people, use your heads. Again, making it difficult for the transit-averse westsiders to realize the simplicity and ease of public transit. Boon to Uber and Lyft!